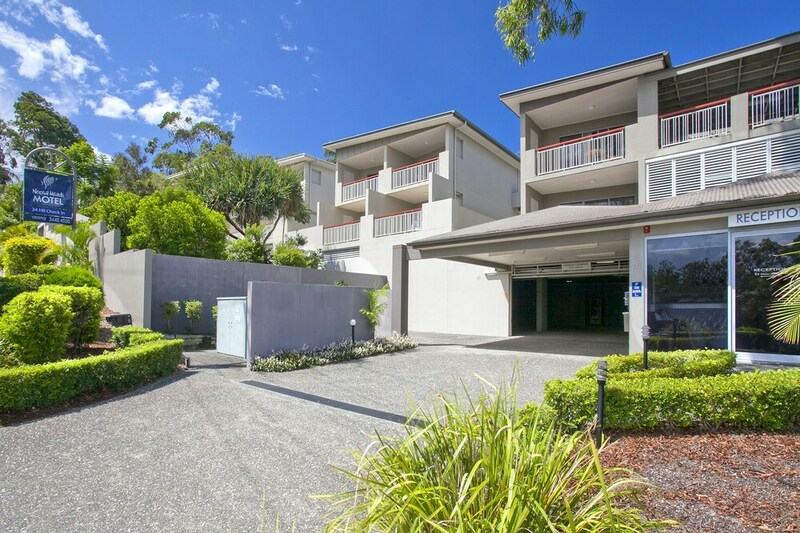 With a stay at Noosa Heads Motel in Noosa Heads, you'll be within a 5-minute drive of Noosa Beach and Noosa National Park. This motel is 0.6 mi (1 km) from Hastings Street and 8.8 mi (14.2 km) from Coolum Beach. Make yourself at home in one of the 23 air-conditioned rooms featuring refrigerators and microwaves. Rooms have private furnished balconies. Complimentary wireless Internet access keeps you connected, and cable programming is available for your entertainment. Bathrooms have complimentary toiletries and hair dryers. Enjoy recreation amenities such as an outdoor pool or take in the view from a garden. This motel also features a picnic area and barbecue grills. Featured amenities include luggage storage and laundry facilities. Planning an event in Noosa Heads? This motel has facilities measuring 646 square feet (60 square meters), including a meeting room. Free self parking is available onsite. Noosa Heads Motel features an outdoor pool, barbecue grills, and a garden. Event facilities measuring 646 square feet (60 square meters) include a meeting room. This Noosa Heads motel also offers a picnic area, laundry facilities, and beach/pool umbrellas. Limited complimentary onsite parking is available on a first-come, first-served basis. Noosa Heads Motel is a smoke-free property. This property will place an authorization at check in to cover any incidental charges. For more details, please contact the property using the information on the reservation confirmation received after booking.